Over 500 social anthropologists and other social scientists attended the 2016 annual conference in Durham. The conference provided a space in which to consider the past impact and future directions of anthropological knowledge. In the shadow of debates on the Anthropocene, the event invited critical reflection on temporality and chronicity as contexts for social action and as organising principles of human narrative. The conference was structured around five distinct sub-themes. These considered the temporalities at work in 1) politics and economics; 2) development, energy and the natural world; 3) health and well-being; 4) cultural evolution and 5) the different modalities and experiences of fieldwork. Read why this theme was selected (below), then study theme in full, browse the accepted panels and laboratories. The Firth lecture was delivered by Laura Bear (LSE) on the opening day; Sarah Green (University of Helsinki) led a colloquium on the second day; Michael Jackson (Harvard Divinity School) closed the conference; other plenary speakers were: Alex Alvergne, Dominic Boyer, Cymene Howe, Annemarie Mol, William Sax and Charles Stewart. 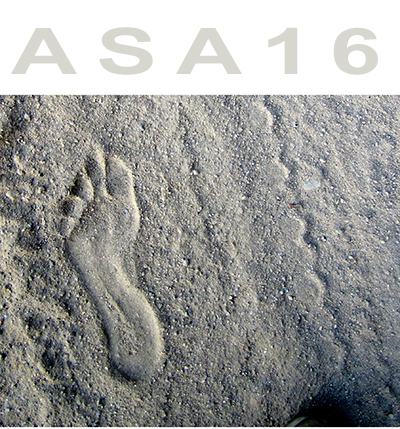 The inspiration for ASA16 came in part from the magnificent, two volume Sage Handbook of Social Anthropology published in 2012. 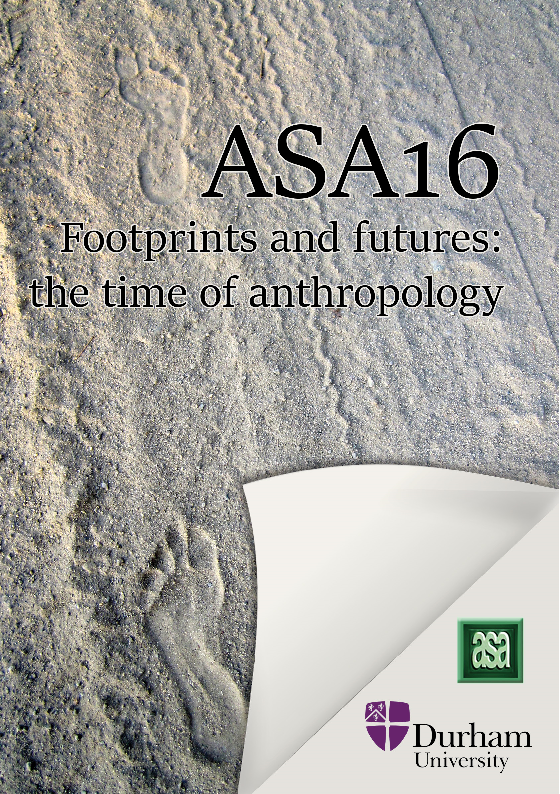 This comprehensive, internationally-authored overview of social anthropology was originally conceived of by Richard Fardon in 2005 and the project carried on by subsequent ASA chairs John Gledhill and James Fairhead. The assembly of over eighty reviews and commentaries relating to themes, theories, regions, issues and future directions of social anthropology was edited by Richard Fardon, the late Olivia Harris, Trevor Marchand, Mark Nuttall, Chris Shore, Veronica Strang and Richard Wilson. In the Durham Department, we cover many of the sub-fields of anthropology. As such, we were keen to extend the spirit of the Handbook in using ASA16 as the occasion for a ‘brush with cutting edge opinion’ [Fardon 2012:1] and to do so on a number of different disciplinary fronts. Taking a further cue from the Handbook we also wanted to incorporate reflection on ‘anthropologies to come’ [Marchand 2012: 217], the ‘futures’ of our title. Indeed, it was fortuitous that the future directions outlined in the Handbook mapped neatly onto some of the main strengths of the Durham department. We were keen to bring all this together in 2016-17 which marks the 50th anniversary of the formation of a Board of Studies in Anthropology at Durham. Fardon, R. 2012 Introduction – Flying Theory, Grounded method. In Richard Fardon et al (eds) The Sage Handbook of Social Anthropology. Los Angeles, London and Delhi: Sage Publications. Marchand , T. Introduction: Anthropologies to Come. In Richard Fardon et al (eds) The Sage Handbook of Social Anthropology. Los Angeles, London and Delhi: Sage Publications.